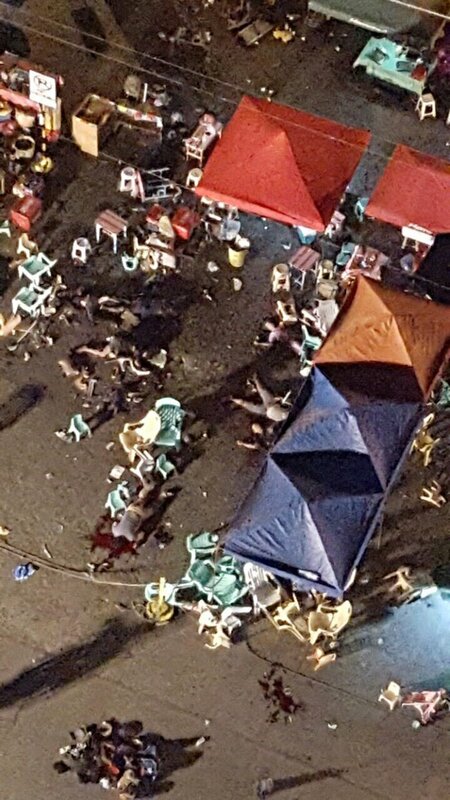 MANILA, Philippines - (Updated 11:30 a.m. September 3) At least 14 people were killed in the explosion that hit Roxas Night Market in Davao City on Friday night, September 2, the authorities have confirmed Saturday morning. Several injured civilians were brought to the nearby hospitals like Southern Mindanao Medical Center and Davao Doctors Hospital. Davao City Police Inspector Katherine Dela Rey told ABS-CBN News that at least 30 wounded because of the explosion that occurred at around 10:20 p.m.
Davao Central 911 has immediately responded to the incident. Reports said that cause of explosion is still unknown but some speculations pinpoint to the act of terrorism. Some witnesses told authority that the blast came from a massage area in the middle of the street. Weekend shoppers in Roxas Avenue, a market area with ukay-ukay and food vendors, were in shock over the blast. Investigation is now ongoing. Vice Mayor Paolo Duterte asked the public to go home and bars to close down. "Let us pray for the victims of this unfortunate incident, especially for those who died. Let us pray for those who are being treated in different hospitals and pray for their quick recovery. There are at least 10 people who perished because of the incident and a number were reported wounded. Right now, we cannot yet give definite answer to as to who is behind this as we are also trying to determined what really exploded. It's a sad day for Davao and for the Philippines." President Rodrigo Duterte is is now in Davao City Police Office, a source with the president said. Note: This is a developing story. Refresh page for the updates.